Breathable waterproof fabric. 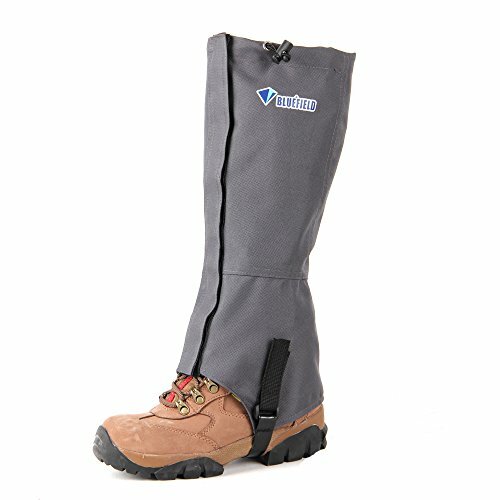 Protect your shoes and pants from water, snow, rain, mud and wind. Designed with adjustable elastic band for convenient and firm bundling. Fastener tape for easier putting on and taking off. Rust-proof shoelace hook and strap to firmly bundle your shoes. Great for skiing, hiking, fishing, hunting, and other outdoor activities.